Whether you live in an apartment or a huge mansion, your living room will always be the center of attention. It is regarded as the family room or bounding room of the home, where the entire family spends some quality time together, discussing their day, watching a movie, and making future plans. Considering the significance of living room at home, interior designers usually pay special attention to the color, style, and design of its furniture and décor. They so do to ensure that the overall décor of the room complements everything associated with the room- the time spent there. Furniture is certainly the most important part of your home interior. Regardless of the type of room, furniture always plays a significant role in maintaining a warm ambiance and elegant appearance of the place. However, choosing sofa sets that are aesthetically pleasing alone is not enough. Rather, they should also provide you with maximum comfort and supreme relaxation. 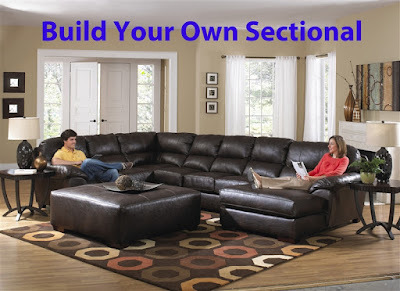 Generally, a complete living room set includes couches, loveseats, recliners, tables, and more. In order to help you select the best and make the most out of your money, here we provide you with the details about different types of living room sets. Knowing about their characteristics is extremely important to be able to make the right purchase. Couches are the largest type of furniture bought for a living room. A couch can either be for two seating or more, depending on its size and design. Primarily, it is used for seating; however, modern couches are used for napping and reclining too. Since a couch is used almost every day for family gatherings, regular hangouts, and the like, it is critical to buy a comfortable and durable piece of furniture that lasts and is worth your money. Loveseats can be described as the smaller brethren of couches that can provide seating for two people at a time. Most of the living room sets do have a stylish loveseat with the couch to add more variety to the room. Tables and lamps are counted as additional accessories that not only present food to your guests, but also uplift the entire look of the room. Whether you are fond of contemporary designs or bronze colored antiques, it is quite essential to balance out your room with both of them. If you have some fancy colored, leather seats, get some contrasting colored coffee or ottoman tables in the room to balance and further enhance the appeal of the room. Furthermore, you can also add elegance-oozing decorative pieces such a candle stands or flower vases to these tables. Finding a trustworthy name that can supply you all the basic as well as additional living room set is not easy to find. However, HomeCinemaCenter.com has always satisfied its customers with its unique designs and exclusive range of furniture. Check out their website to discover more about discount deals.